Even though we are still far from the winter season, always have the gift giving season in mind. We thought we would give you some ideas for those on your shopping list. Sending a custom sign or personalized gift can be a great way to do your Christmas shopping without ever having to step into mall. 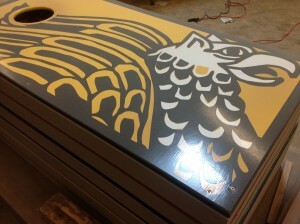 Because all of our signs are custom built in our workshop, the possibilities are almost endless. 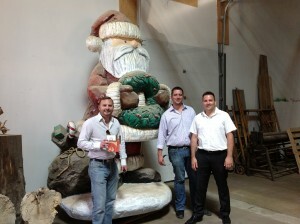 Here are our top picks for the upcoming Christmas season. 1. 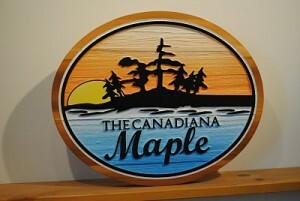 Custom Wood Cottage Signs – Our custom sandblasted cedar signs are always a great choice for the cottagers on your Christmas list. You choose the size, shape, colour, text and graphics. We have requests for scenery, pets and even unicorns! 4. 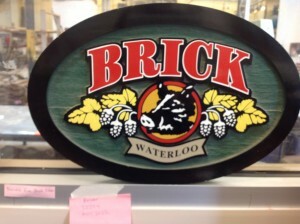 Interior Bar and Pub Signs – Do you know someone who takes pride in their bar, den or “man cave”? Perhaps a pub-style sign of their favorite beverage company would that finishing touch. 5. Family Heirlooms – Looking for something to pass down from generation to generation? 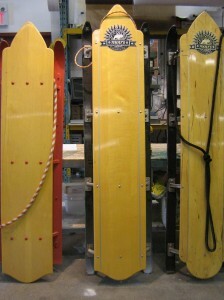 A Moirs Toboggan may do the trick! 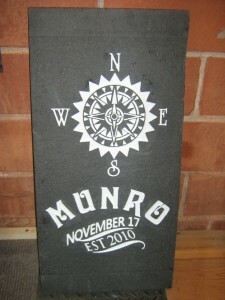 Add a family crest to your Moirs Toboggan to personalize this winter themed gift. 6. Handcrafted Games – If you are looking for one of kind gift, we have our new toss games added to our lineup of custom wood gifts. 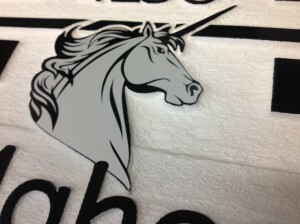 These can be manufactured with any graphic which makes them great for corporate gifts and organization fundraising games. 7. Wall Decals – Our vinyl wall decals can easily transform any room. Why not give the recipient the gift of their favorite quote? They are easy to ship and can be applied without any hardware required. 8. Interior Decor Items – Big or small we can create 3 dimensional decor items and artistic signs that fit the bill. Whether it is natural stained wood or a custom finished ornamental piece our designers will find what fits with your decorating scheme. 9. 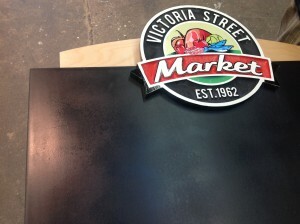 Personalized Chalkboards – These make great kitchen gifts for aspiring chefs and creative cooks! They are also fantastic for kids. 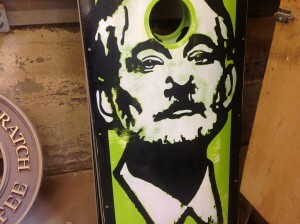 You never know what the little aspiring artists will come up with. With two options of handpainted chalkboards and projects with chalkboard vinyl we are sure you will find something that meets your needs and your budget. 10. Recognition Awards – Need gifts for your corporate donors, staff or maybe your sports team? Our custom recognition awards are always well received and show how much you appreciate receipients. Have another idea in mind? Visit our Contact Us page and connect with one of our expert signmakers. As you can see by the image below we can create any Holly Jolly Christmas gifts to fit your gift-giving style and even some that may have trouble fitting under the tree! Are you wondering why we are talking about Christmas already? We want to ensure your order is completed and arrives in time. Custom signs require a lot of detail and we want to exceed your expectations when it comes to our craftsmanship, so be sure to order early and make this a holiday season to remember. 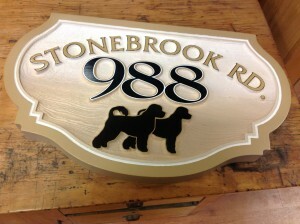 We are looking for a “Custom Wood Sign” for outdoor use at our retail store. We want something that we can hang from a bracket with some chain. Sounds great Lesley! Send an email to us at accounting@sign-depot.on.ca with the approximate size you are looking for along with a picture of where it will be situated and any text or graphics you plan to include. Looking forward to hearing from you soon! I am looking to have a cottage sign made that will last outside. I would really like it to be the shape of a canoe in red with black writing that says, The Curries. Is this possible and how much would something like this be and what is the time line? I live in Toronto. Thank you and I look forward to hearing from you.